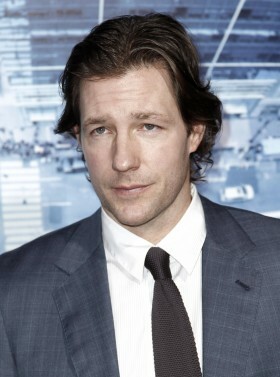 Filmmaker Ed Burns pays the bills with Hollywood acting gigs, but prefers making indie films in New York. His most recent film, "Newlyweds," was made for $9,000. AP/Matt Sayles. Filmmaker Ed Burns said he plans to bring his career full-circle sometime in the next two years, with a sequel to “The Brothers McMullen.” Speaking in an interview with Rafael Pi Roman for NYC-Arts, Burns said he began working on the sequel script at the behest of director Tyler Perry. Those familiar with independent cinema know why that’s exciting news. In 1995, the Long Island native wrote, directed and produced “The Brothers McMullen” for just under $25,000. After winning the Sundance Film Festival‘s Grand Jury Prize, the movie went on to gross $10 million and launched Burns’ lucrative acting career, including a role in the upcoming HBO show, “40,” also starring Michael Imperioli and Michael Rapaport. But this whole time, Burns has kept busy behind the camera. He’s helmed writing, directing and producing duties on seven more films. All are set in New York, where he still lives, and all — including his latest, “Newlyweds,” which was shot for $9,000 — were produced with humble budgets. In discussion with Pi Roman, Burns explains why he prefers low-budget filmmaking, how he shoots on the cheap and why new distribution channels should excite aspiring (and broke) auteurs. Filmmaker Edward Burns speaks with Rafael Pi Roman about how and why to shoot movies on a shoestring budget. Video courtesy of NYC-Arts. “The primary reason really is to protect the process. You can tell the story that you want to tell without any interference from anyone. Usually that interference comes from someone who is going to write you a check for several million dollars,” said Burns. Burns advised young filmmakers to make use of the cheapest tools they can find. “You guys have access to cameras that cost under $3,000. Why not just go make your movie? And it’s up to you to fight the good fight, market the hell out of your film and use Facebook and Twitter and email blasts and do all of the things indie rock bands have been doing for the last 10 years,” said Burns. The same do-it-yourself principles, he said, apply to writing, casting and scouting locations. “With ‘Newlyweds,’ after I plotted out what was going to happen to these characters, I had to figure out where do they live, where do they work? I had a friend owns a gym, so Buzzy, the character I played, he’s a trainer,” said Burns. Burns shot “Newlyweds” in real places, using a small camera and three-person crew, where regular people were going about their daily routines. This process, he said, often resulted in cinematic serendipity, like when an intoxicated restaurant patron butted into a scene. Around 2006, Burns noticed that independent films were grossing less and less in theaters. The following year, Burns became the first filmmaker to open a movie exclusively on iTunes. “The difference was, our opening weekend we could play to the arthouse crowd in New York and L.A., or we could be pumped into 45 million homes,” said Burns. “Newlyweds,” which premiered at the Tribeca Film Festival in 2011, will be available for download on May 22, 2012. Although he makes occasional sojourns to Los Angeles for acting gigs, Burns continues to dwell and make films in New York for two primary reasons. First, he said, New York City continues to be the capital of the independent filmmaking. But more importantly, the city continues to be a muse.